When you complete your order online you will get information on how and where to send your payment. You can select this payment option when you are entering your bill to and ship to information. This is the fastest payment, you can place your order and pay securely. You can select this payment option when you are entering your bill to and ship to information. Order Minimum is 1 unit. Our minimum order amount is the total of combining the product purchase price plus the cost of shipping. At the bottom of every page on our web site it says "Terms & Conditions Ordering means you agree with Our Term & Conditions page (Shipping and Payment page, Return Policy Page)." This means to us that you have read our Terms page and agree to our policies and procedures outlined on this page. Sections that are important are warranty, restock fee, returns, and refunds. We have designed our shopping cart so when you check out you have to check a box saying you agree to the terms and conditions on our page and we also mention in our order receipt page the same thing. We have done this to avoid any misunderstandings. This approach has worked for us and and our customers who understand our straight forwardness about doing business. Errors do occur rarely but when they do we reserve the right to claim that prices and availability are subject to change without notice. Thus, the placement of an order on our web site is not always binding. Our customers understand and agree to this and will not hold us liable for mistakes. If an incorrect ship method/cost is chosen when ordering we will then with your approval adjust the shipping cost. We are not bound or obligated to honor shipping prices mistakenly chosen or posted to our web site. Placing orders on Top-Printhead.com (Digipro Printers) implies consent to abide by the terms and conditions below as well as the terms in our Return Policy. The terms and conditions of sale apply to the sale of all goods and services provided by Digipro Printers PT. Any variations or cancellations of these conditions shall not be binding unless agreed to by Digipro Printers in writing. Pricing on Digipro-Printers.com is subject to change without notice. 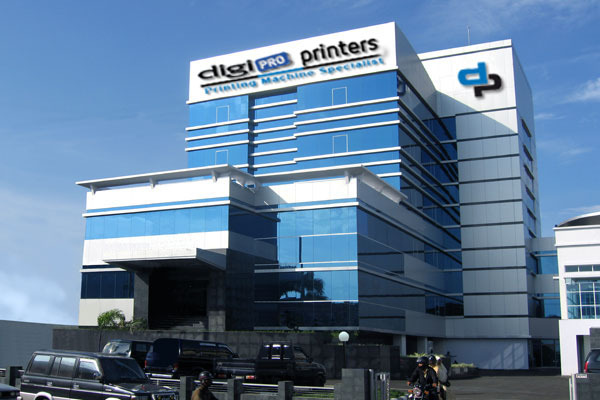 Digipro Printers PT. reserves the right to correct pricing on items listed incorrectly and to notify the customer prior to shipping of the item of an additional balance due or offer to cancel the order. If an item on Digipro-Printers.com is purchased and the price is lowered within 10 days, Digipro Printers PT. will reimburse the difference in cost to the customer as store credit that will apply to future orders. The customer must request this reimbursement within 7 days of the price change on Digipro-Printers.com. There will be no cash refunds as part of the price assurance policy. Digipro-Printers.com is guaranteed to have the lowest delivered price on any product we carry. Other companies may appear to have lower prices at first glance, but once shipping costs are included Digipro Printers PT. will always come out ahead because of our low flat rate shipping on your whole order. *Lowest Price Guarantee is at our discretion and does not include sales or promotional prices. The item must be in stock at the other retailer. Buyer must be a registered distributor of the product offered. The lowest price will be determined by calculating all costs including shipping and handling associated with the item at the other retailer. An ordering proof will be sent to your registered e-mail address after you submitted orders list. All orders status will be pending prior to approval. It is the customer’s responsibility to log in to their account and check on their order. We are not liable for delays in the order on customer's non-member. Digipro-Printers.com will sent the commercial invoice as a proofs which show your order list. It must be requested by the customer when the order has placed, and should be checked against possible errors in orders item, total amount, recipient name or address. Customer is fully responsible for all that is contained in the final approved invoice. Once a commercial invoice created and has been approved by customer, the customer is responsible for paying the overall amount of orders along with applicable taxes and shipping/handling fees, unless otherwise noted. All prices stated herein are based on current costs and subject to change. If, after the customer has paid the invoice, it is determined that more tax is due, then the customer must promptly remit the required taxes to the taxing authority or immediately reimburse the provider for any additional taxes paid. b. Orders with payment below $1,000 will not be subject to any cancellation fees. c. Cancellation of orders from $1,000 up to $5,000 will be subject to a $150 processing fee. d. Orders $5,000 and above will be charged a 3.5% processing fee based on the full payment amount.